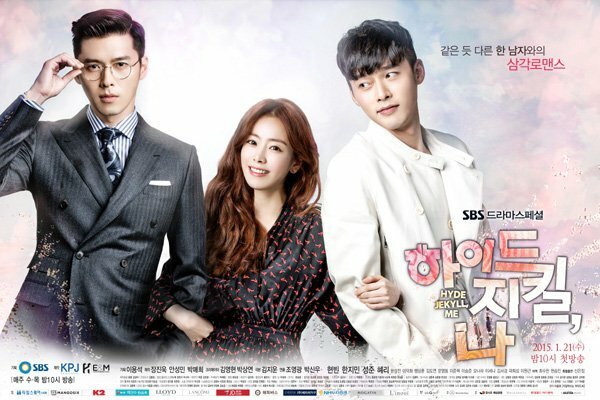 I generally enjoyed the premiere episode of Hyde, Jekyll, Me, although I agree with most of the criticisms that have emerged. This isn't a home run start by any stretch, but it's engaging and showcases a unique premise that I can't wait to dig further into. The whole crux of this story is that leading hero Seo Jin has Dissociative Identity Disorder (which I know is also tackled by Kill Me Heal Me, which I haven't seen yet), whereby his gentle alterego Robin will emerge anytime his heart rate surpasses 150. It's an interesting twist on the traditional Jekyll and Hyde tale, and I'm curious how the romance will play out given the conflicting men in one body. As a whole, I think the premiere was watchable and had hints of promise, but the faults undeniably outnumbered the hits. The biggest issue I had with this first episode was that it felt like a waiting game to get to the main point (e.g., the personality transformation). We all know what the story's about, and we all know Robin's release is imminent, yet the production chose to keep that from us until the final few minutes. What comprised the rest of the episode was obvious filler and set-up sludge, which was messily executed and frankly just rather dull to watch. The worst / most laughably embarrassing moment in this premiere was that CGI gorilla scene, which was insultingly inaccurate to the real-life animal and so, so indescribably stupid in terms of its place in the plot. I know they wanted the leads' meeting to be flashy and exciting, but this was just painful. Really, so on top of being a Cirque du Soleil acrobat and circus show producer our leading lady is also an animal whisperer? It's just too much for any rational viewer to swallow, and oddly enough, this combination did nothing to make Han Ji Min's character any more interesting to me (although her skin is undeniably gorgeous in every scene). 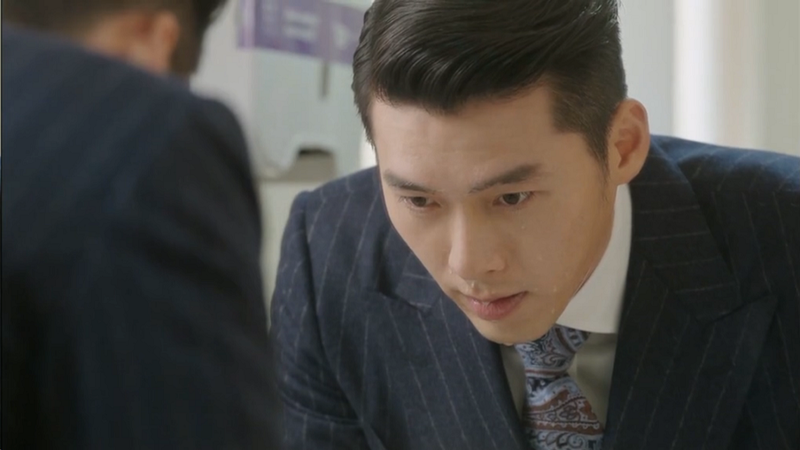 Which brings me to the second issue I shared with other viewers, that no one aside from Hyun Bin's character is really worth watching right now. Luckily I had low expectations, but even so I wish Ha Na had a bit more flair and distinctiveness to her than the typical bickering Candy-that-everyone-loves-except-the-mean-hero that we saw on-screen. In my opinion Han does better in melodramatic settings than in rom-coms, because she doesn't have a sense for comedy and comes across as flat and ditzy in the latter. I've only ever liked her in Cain and Abel, and unfortunately it seems like her drama acting has been regressing over the years (she was stiff as a board in Padam, Padam and overacted like a maniac for most of Rooftop). It's mostly a function of cliche and poor writing of the dialog between the leads so far, but I also don't think Han is doing anything to elevate the character beyond what's on paper. She acts indignant when she's meant to be and she acts chirpy and generically "nice" the rest of the time. There's zero dimension here, and I can only hope that something more interesting happens with her. As a side note, I did like the psychologist from the brief minutes we saw, but guess she won't be reappearing. Luckily, the show has a major redeeming factor in its premise itself, of the dual persona nice guy hidden inside the Scrooge. Conflicting identities are all the rage right now, as we've seen not only with Kill Me Heal Me but also with Healer. Well, it works in terms of attracting my attention and interest. The promise of seeing this identity crisis play out was what kept me glued to watching for the full hour, and I'm glad to say the transformation scene did deliver some satisfying heft and left me wanting more. I'm hopeful things will improve, because Binnie rocks the characters so far and now that the set-up is out of the way we can move to more interesting things. I'm fearful that Ha Na will continue to be the nagging torchbearer of righteousness based on the previews we've seen, and only hope she at least figures out his identity issue fast and starts playing a more interesting role in his life.